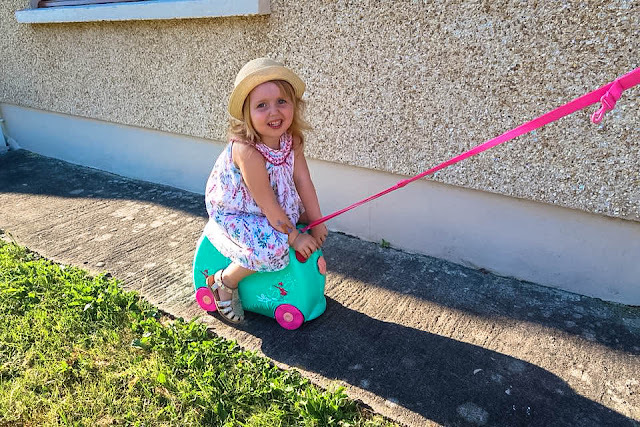 Flora Fairy Trunki Review and Giveaway | Then there were three.. Unless you have been living under a rock for the last few years, then I am pretty sure that you would know what a Trunki is or at least seen one. These amazing contraptions were designed with travelling families in mind; we all know that travelling can be stressful, but add a small child running around into the mix and it can be disasterous - this is where the Trunki helps! 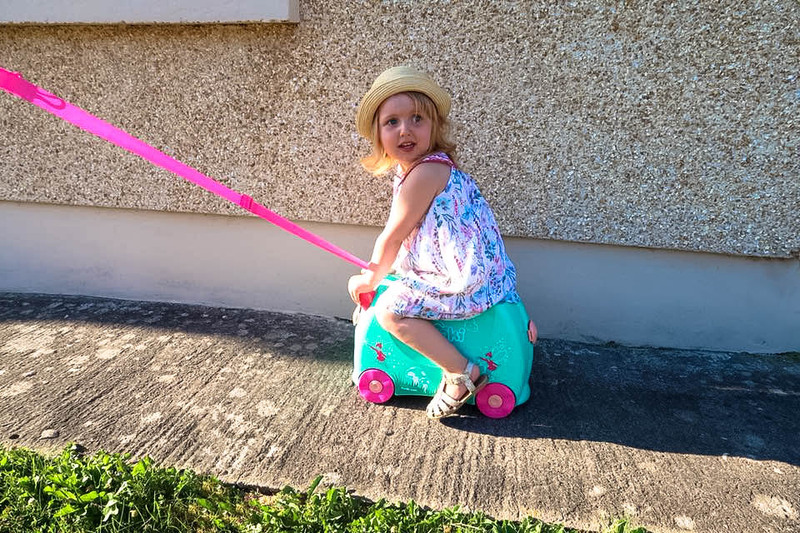 We were very kindly sent the brand new Flora Fairy Trunki for Aoife to review; I had been eyeing these up for a while for our upcoming holiday to Orlando in March as I knew how much of a runner Aoife was. Instantly Aoife fell in love with the fairy design - the Trunki even comes with stickers for your little one to customise their Trunki which was a big hit in our household - no doubt I will be finding stickers everywhere soon. Flora Fairy comes in a gorgeous Turquoise colour with hot pink accents - I particularly love the sparkly handles. All Trunki's come with a detachable handle which can be used to pull your little one along whilst they ride on it, or for you to carry over your shoulder should your little one get bored (although I can't see that happening!). The best bit about the Trunki is that it is made of wipeable plastic! So no stains and it can be kept in pristine condition for much longer than a regular suitcase - it also meets the dimensions for most airlines carry on luggage and is the perfect size for your little one to store their on board essentials! There is nothing worse than having to juggle kids and all of the carry on stuff that comes with them; this pretty much eliminates the hassle and makes you more hands free. The internal storage space size is fantastic, but just remember to check weight limits with the airline you are flying with! I am sure that Aoife will have fun filling Flora with all of her flight necessities before we travel. The only downside to the Flora Fairy Trunki is that they don't do one big enough to hold my weight; I would love to be pulled along on this around the airport, although may get a few funny looks! 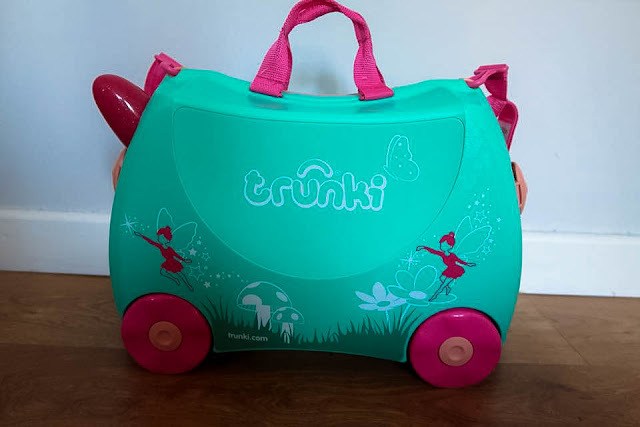 Trunki have kindly given me the opportunity to give a Flora Fairy Trunki away to one of my readers too, which is very generous! So if you fancy winning one of these genius creations before your summer holidays, just take a look below. - The closing date is the 25th of July 2018. 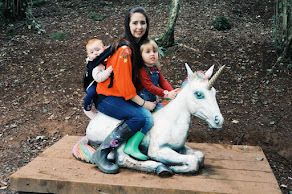 *Disclaimer* I received the Flora Fairy Trunki in exchange for a review and giveaway. All thoughts and opinions are my own.